The Indian Navy (IN) has had a long standing aspiration for building a credible submarine arm. The government on the other hand, initially opposed the idea on ideological/ethical grounds. It considered the submarine as an offensive weapons platform. The policy went to the extent of blocking the acquisition of submarines even for purposes of preparing the IN for anti-submarine warfare. In the late 1950s and 1960s, the IN had to make do with British Royal Naval (RN) submarines once a year, during the Commonwealth Joint Exercises off Trincomalee (JETEX). The Navy’s weakness in this domain was manifest in the loss of INS Khukri during a submarine active search operation against Pakistan Navy’s Daphne class submarine in 1971. “Sadly, the society is not usually ruled by great men, but small ones whom circumstances have brought into positions of power”. 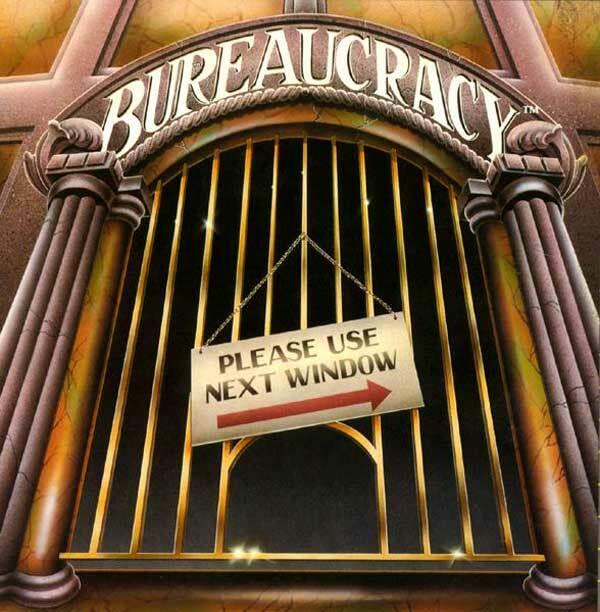 …irrespective of the kind of regime that might govern a state, the ruling class has no other option but to install a bureaucratic system and depend on it to rule according to the promises it makes and the mandate it enjoys. There was a time when the term ‘babu’ was reserved only for the most revered beacons of the society. More colloquially, it was also a term of endearment, with loving wives, admirers and lovers addressing their ‘lords’ as such, and parents not tiring of naming their progeny as ‘Babu Lal’, ‘Babu Sona’, ‘Babu Saheb’ etc. Even in officious situations, it was the ‘Babu Ji’ to whom his retinue would defer. But alas, today that pristine sheen seems to have been tarnished by conjoined assault of insinuations, epithets and accusations from every quarter that is spearheaded by an impatient, over-zealous and judgemental media – notwithstanding the range of benefits that it receives from its favourite quarry – the ubiquitous ‘babu’. Dhanush as an artillery system has proved to be one of the best amongst its class. A 45 Calibre towed gun system capable of targeting at long ranges incorporating autonomous laying features and having one of the most sophisticated suites of electronic and computing systems in the world. …the success of 155mm/ 42 Cal Dhanush under trial is of paramount importance for the futuristic ATAGS programme. A leading Indian daily “The Times of India” quoted the defence minister, Mr Manohar Parrikar when he addressed the parliamentary consultative committee on defence on April 21, that the 155mm/45-calibre Dhanush howitzers had “successfully met all technical parameters” during the winter and summer trials at Sikkim and Pokhran. He also stated that Dhanush incorporates “many improved features” over the Army’s existing artillery guns. This revelation has created a buzz amongst the arms manufacturers and rightly so since Dhanush as an artillery system has proved to be one of the best amongst its class. A 45 Calibre towed gun system capable of targeting at long ranges incorporating autonomous laying features and having one of the most sophisticated suites of electronic and computing systems in the world. The Indian Army is set to induct an indigenously development 155 mm towed howitzer. 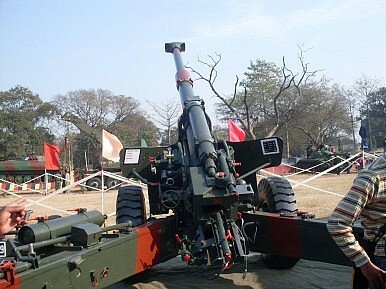 The artillery gun, dubbed the Dhanush, will be the Indian Army’s first new 155 mm howitzer since a procurement scandal in the late 1980s in which Swedish firm Bofors (later acquired by Britain’s BAE Systems), designer and manufacturer of the Haubits FH77 howitzer was found to have paid illegal kickbacks in exchange for the contract. 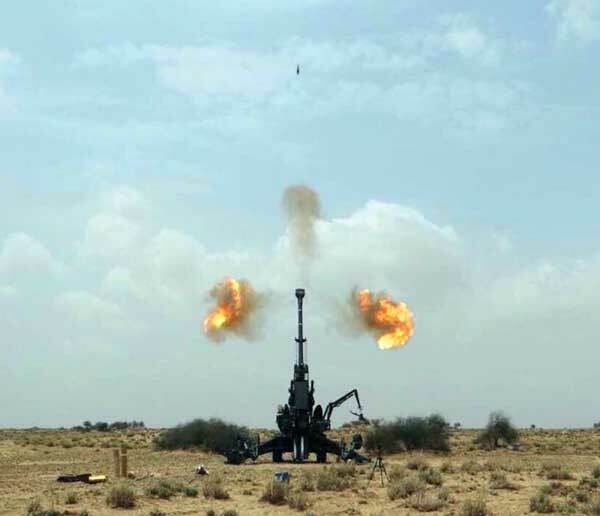 The Dhanush was developed by India’s Defense Research and Development Organization (DRDO) under the project name Advanced Towed Artillery Gun System (ATAGS). The project was initiated under the DRDO in 2010. As my colleague Franz-Stefan Gady reported earlier this year, New Delhi’s announcement of the Dhanush’s induction is no surprise. The system had been undergoing tests for some time. In April, the Indian government released a statement noting that the gun had “met all technical parameters during the winter and summer trials.” At the time, the announcement that the Dhanush had passed all trials was, however, somewhat surprising given that reports as recently as summer of 2014 and winter of 2013 suggested major structural problems with barrel bursts in the prototypes. India’s Ordnance Factory Board reportedly had to modify the metallurgical process used in the manufacturing of the gun’s barrel. Pakistan’s military has, for the first time, used a remotely piloted aircraft (RPA, or “drone”) to strike at terrorists on its own soil. Three suspected terrorists were confirmed to have been killed with the use of a NESCOM Burraq drone, an indigenous Pakistani-designed and built system introduced into Pakistan’s Air Force in 2013. General Asim Bawjal, the director-general for Pakistan’s Inter-Services Public Relations, confirmed the strike via Twitter: “1st ever use of Pak made Burraq Drone today. Hit a terrorist compound in Shawal Valley killing 3 high profile terrorists.Details follow,” he noted early on Monday morning. The Pakistani army has received few other details regarding the strike as of this writing, including the identities and affiliations of the “high profile” targets. The use of drones by U.S. forces has been a source of controversy in Pakistan, leading to widespread aversion against U.S. military operations in Pakistan airspace and against the use of drones themselves. The use of drones by the Pakistani Air Force to strike at terrorists and militants along the country’s porous border with Afghanistan could stoke additional controversy and possibly drive further radicalization in the region. 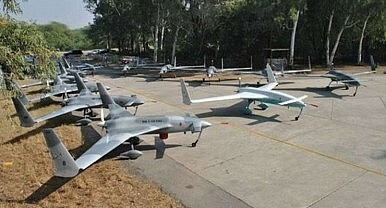 The United States, a Pakistani ally, has refused to transfer its drones to Pakistan amid fears that the technology could find its way from Rawalpindi’s inventory to U.S. adversaries. Although most American combat troops left Afghanistan at the end of 2014 there are still several thousand SOCOM (Special Operations Command) troops there and even more regular army personnel (mainly for support). There are still enough warplanes and helicopter gunships available to carry out about 30 percent of the ground attack missions undertaken in 2014. These, however, take longer to arrive as each one requires approval by more lawyers and politicians back in the United States. The SOCOM troops rarely fire their weapons but do accompany their Afghan counterparts on missions about forty times a month. Occasionally the American SOCOM teams carry out a combat mission but these are kept quiet and need lots of permissions from lawyers and politicians back in the United States. Despite this Afghanistan has survived, for the moment, the loss of all those foreign troops in 2014. The most serious problem is that the foreign troops and contractors helped keep complex equipment going for the Afghan military left and the Afghan troops are on their own. Things soon began breaking down and there was often no one available to fix them until deals could be made to hire new contractors to replace the departed American and NATO specialists. The Afghan police and army are not missing the Western combat troops as much as they are the Western tech support. By the end of 2014 all combat operations against the Taliban were being handled by Afghan police and soldiers. But most of the support functions long handled by the Western forces were not being taken care because nearly all those foreign logistical, medical, communications and intelligence troops and civilian contractors had gone. 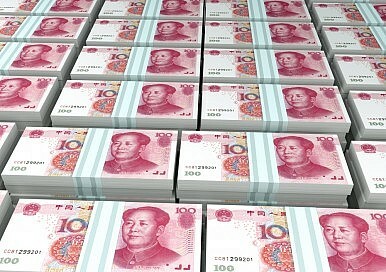 While recent turbulence in the Chinese economy has caused investors and pundits much concern, observers may be missing another critical threat to both Chinese and world markets. 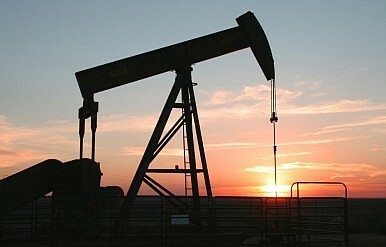 Soaring Chinese oil consumption and turmoil in the Middle East have been central, and seemingly irrevocable, features of the global energy landscape in recent years. But China’s outsized and growing reliance on crude oil imports from this increasingly turbulent region leave the world’s largest crude importer highly exposed to the adverse effects of a major supply disruption. The Middle East’s precarious security situation and fragile political balance constitute serious threats to China’s energy security and, by extension, the stability of global markets. China and Iran’s anti-access/anti-denial capabilities are often lumped together in public statements by senior U.S. defense officials and the American media. That frequently leads to a mischaracterization of Tehran’s A2/AD capabilities — particularly when discussing Iran’s conventional ballistic missile force. A new operational analysis by Jacob L. Heim, an analyst at the RAND Corporation, published in the Air & Space Power Journal, offers a comparative perspective of the risk to U.S. air bases from Chinese and Iranian conventional theater ballistic missiles, key weapon systems in both countries’ A2/AD strategies. 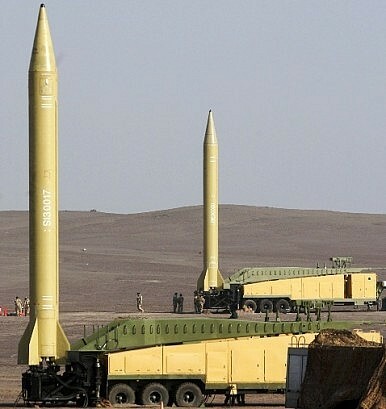 “The accuracy, payloads, and ranges of the weapons in Iran’s ballistic missile arsenal are inadequate to seriously threaten U.S. air operations, in part because U.S. forces could operate from a large number of bases outside the worst threat ring (i.e., more than 500 km from Iran’s border),” Heim summarizes. With so many contentious bilateral issues between the U.S. and China – the South China Sea and cyber security to name just two – hopes are building for President Xi Jinping’s first official visit to the U.S. this September. The world’s two biggest CO2 emitters could deliver another environmental high note, one that could have crucial significance for climate talks in Paris in December this year. China and the U.S. surprised the world with their joint statement on climate change last November and with their environment cooperation plan announced in June’s Strategic & Economic Dialogue. 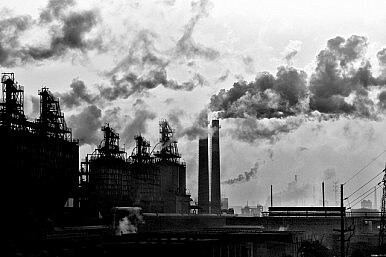 With the all-important Paris Conference just around the corner, now could be the perfect time for the world’s two largest economies to draft a long-term carbon mitigation policy a structured plan to wrestle the world’s temperature rises to below two degrees by the middle of this century. Genuine mutual interests are driving both Beijing and Washington to act. Bilaterally, the two sides are badly in need of some sunshine in their gloomy relationship. Unilaterally, both leaders are in need of an image boost. Obama, who in Alaska on Monday claimed he is “determined to make sure American leadership continues to drive international action [on climate change],” is looking to secure his climate legacy. Meanwhile Xi is looking to demonstrate China’s position as a responsible global power, and will have the perfect stage to do so at his first appearance before the UN end of September. China has celebrated the 50th anniversary of the establishment of Tibet Autonomous Region (TAR), rallying against the exiled spiritual leader, the Dalai Lama, while drawing sharp criticism for its human rights record there. Beijing's top political adviser Yu Zhengsheng led a massive rally in the Tibetan capital on Tuesday, stressing the official line that the Dalai Lama, who fled China in 1959 after an abortive uprising against Chinese rule, is a violent separatist. "People of all ethnicities are steadfastly engaged in a struggle against separatism, continuously thwarting the Dalai clique and foreign hostile forces' splittist and sabotage activities," Yu said in front of Lhasa's grand Potala Palace, once the home of the Dalai Lama. The Dalai Lama, who is based in India, has said he is merely seeking greater autonomy for his Himalayan homeland. It would be a mistake to dismiss the Islamic State's hackers as the jayvee team of cyberwarfare. Today we extend on the land and in the internet. We send this message to America and Europe. We are the hackers of the Islamic State and the electronic war has not yet begun. What you have seen is just a preface of the future. We are able until this moment to hack the website of the American leadership and the website of the Australian airport and many other websites. ARGUMENT The Gulf’s Castles of Sand Oil prices have plummeted, leaving Saudi Arabia and its allies with a long-term economic crisis — just as Iran’s economy looks poised for rapid gains. Oil prices have plummeted, leaving Saudi Arabia and its allies with a long-term economic crisis — just as Iran’s economy looks poised for rapid gains. Jeddah’s glittering kilometer-high Kingdom Tower, set for completion in 2018, looms over a Saudi Arabia just beginning to confront the challenge of lower oil prices. The construction of ultra-tall buildings, however, has famously heralded economic crashes in the past: Just five years ago, Dubai’s $1.5 billion Burj Khalifa, the world’s current tallest tower, opened amid the emirate’s financial crisis, part of the worldwide meltdown of property, commodity, and stock prices. Now Saudi Arabia and its seven Persian Gulf neighbors are hoping history doesn’t repeat itself. Oil prices, above $100 per barrel as recently as June 2014, have plummeted to less than $50 per barrel. Two competing narratives have emerged regarding the outbreak of violence last week in Tajikistan. The Tajik government says that deputy defense minister General Abduhalim Nazarzoda led a “terrorist” group aimed at overthrowing the government, instigating two attacks on September 4 in Dushanbe and neighboring Vahdat before fleeing to Romit gorge. An alternative narrative, which allegedly comes via phone and then Facebook from Nazarzoda, claims that he found out on September 3 that the government was planning on arresting him and his associates. Instead of waiting to be arrested, Nazarzoda and his men took up arms and fled the capital. Since the story broke Friday, the government’s narrative has pervaded general international coverage. Outlets that do not typically carry news from Tajikistan ran stories lacking, to say the least, nuance or deeper grasping of the complicated factors at play. 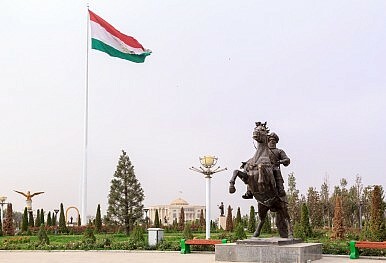 The headline for the New York Times’ story said “Islamist Rebels and the Police Clash in Tajikistan, Killing 17.” Pravda led with the idea that Nazarzoda “tried to arrange a military coup,” and continued by repeating Tajik President Emomali Rahmon’s claim that “the organizers of the coup were acting under instructions from the Islamic State.” IHS Jane’s 360 erroneously predicts “Fighting between Tajik security services and pro-IRP militants,” ahead of Tajikistan’s Independence Day celebrations on September 9. Down PDF file of "Trends in Iraqi Violence, Casualties, and the Impact of War: 2003-2015"
British Prime Minister David Cameron’s disclosure that his military used a drone to kill two British jihadis in Syria puts the United Kingdom into an exclusive but growing club of nations that acknowledge using unmanned aircraft to target their own citizens. Speaking to his Parliament on Monday, Cameron said an armed drone had targeted Reyaad Khan and had also killed Ruhul Amin, both British citizens, and had killed a third Islamic State militant who was with them at the time of the August strike. The same day, Islamabad announced that a Pakistani drone strike killed three militants near the Afghan border. Although the United States has launched more than 400 drone strikes against militants in Pakistan since 2004, Monday’s announcement marked the first time the Pakistani government has admitted to carrying out a lethal strike with its own drone. The military’s spokesman, Maj. Gen. Asim Bajwa, described the dead men as “high-profile terrorists” but offered few other details. At some point in the next two years, British voters will decide whether to remain a part of the European Union. This will be the first time Britons have been consulted on the subject since 1975, when 67 percent voted to stay in. If it does decide to leave, the United Kingdom will become the first country to leave the European Union since it was created as the European Community in 1957. The repercussions would be felt not just in Britain, but also across the Continent and indeed across the world. To predict the eventual result of the vote, it is first important to understand the factors that have kept the United Kingdom in the union this long. The story starts with geography. Britain is a relatively small island situated off a large but historically divided continent. It is narrow, with navigable rivers, natural resources and fertile land. These factors have various implications for the country's development. As an island with narrow dimensions, the coast is always nearby, making a large portion of the population maritime. Add an ample supply of wood, and conditions are ripe for the construction of a strong navy. The fertile soil allows for a stable population, while resources such as coal, metals and sheep (for wool), along with navigable rivers, provide propitious circumstances for international trade. From the United Kingdom's perspective, the divisions in the Continent both reduced its threats - limiting Continental powers' ability to build a navy strong enough to invade - and increased its opportunities as British traders found ways to insert themselves between countries that were often at war. Thus, once the island's basic needs of safety and nourishment were satisfied, Britain's geography enabled it to flourish as a maritime trading power. In May, while much of the international media focused on Cambodia’s preparation for the arrival of refugees coming to Cambodia from Nauru as part of acontroversial $35 million aid deal with Australia, Phnom Penh took efforts to block the arrival of a less welcome group of asylum seekers. “[A]lmost 1,000 [Cambodian] troops were deployed along the Vietnamese border…Soldiers…said yesterday that the main objective was clear: to catch Montagnards,” reported the Phnom Penh Post in early May. 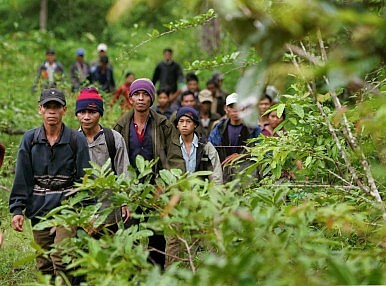 Fleeing Montagnards, a Christian minority tribal group from the Central Highlands of Vietnam whose persecution there is well-documented, have long been an enduring thorn in Cambodia’s side. Phnom Penh, a signatory of the 1951 Convention Relating to the Status of Refugees and its 1967 Protocol that mandates Cambodia allow asylum seekers to pursue protection claims, often deports them as illegal economic migrants. While Najib himself has supported the TPP as a way to boost Malaysia’s economy, the agreement is unpopular among some, including conservative Malays who oppose the cuts in state enterprises and government programs that benefit them. As I reported in June, a Pew Research poll found that Malaysians showed the least support for the TPP among all participants, with just 38% being for it. Indonesia is set to become a full member of the Organization of Petroleum Exporting Countries (OPEC), the country’s energy minister confirmed September 8. According to Energy Minister Sudirman Said, the OPEC chief informed Indonesia that all current members have approved Jakarta’s return to the organization. “We have received official confirmation from the Secretary General of OPEC that the entire members welcome the reactivation of Indonesia as a full member,” he said, according to Reuters. 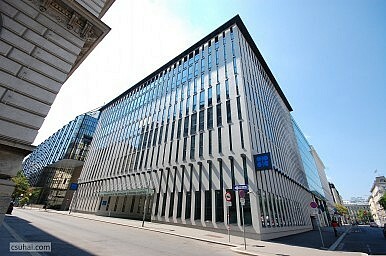 He added that Indonesia would be an official participant in the next OPEC meeting, to take place in Vienna on December 4. The development is hardly surprising. Indonesia has always left the door open for its potential reentry into OPEC since it left the organization in 2009 amid declining oil production and surging oil prices. 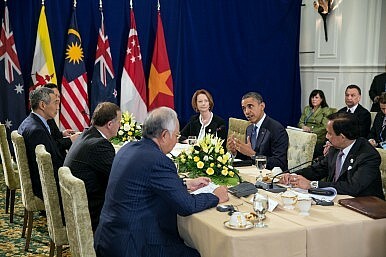 Prior to 2009, Indonesia had been a member for nearly five decades . My five year-old’s ability to find sports scores on an iPad contrasts rather sharply with my inability to rapidly sift through mountains of intelligence data from my desk in the Pentagon. This leads to an intriguing question: How might the sports information model be applied to intelligence dissemination? I recognize there are all sorts of hurdles that would need to be overcome, but suspend disbelief and bear with me. Sports Information Delivery …Who Won the Game? If there is one thing we should have all learned, especially those of us who spent years there is that half measures when it comes to Iraq avail us nothing. In June the President announced he was sending 450 “troops” to Iraq ostensibly for the purpose of “training” Iraqi forces to combat IS. I use the term IS to mean the Islamic State because using ISIS or ISIL now have become code words for which side of the isle you apparently come from. Nonetheless , IS has taken over about 30% of the country from Mosel to Ramadi in the Sunni Triangle, a city and region we fought our guts out for in 2004/2005. Ramadi as we all know is about 70 miles from Baghdad which is essentially a one hour drive on the main highway connecting Ramadi with Baghdad. What does this mean? I mean what does the addition of 450 troops bring to the party? Let me first establish my bona fides. I spent 2 tours in the advising and training role for Iraqi counter-terrorism and counter-insurgency forces. I am well acquainted with not only the materiel and personnel that are required to field these forces but probably and more importantly the extreme challenges in training and deploying them. The first thing we need to establish is not the “how many” but more importantly the “who” and the “what.” This simply means who are they going to send and what are they going to do? Since last year, the US has sent approximately 3,000 advisors to Iraq. In the year to date they have managed to “train, equip and deploy” approximately 1,750 Iraqi combat operators. On the surface that might not seem too bad. Consider that the IS force they (the Iraqis) have largely failed to deter is about 30,000 or so at last count and their overall army troop strength is allegedly 350,000, suddenly 1,750 doesn’t look too impressive. In fact one wonders what the heck they have been doing over there all of this time. Harald Weilnboeck has worked for years in Germany as a first-line practitioner trying to discourage young people from joining violent right-wing extremist groups or help them distance themselves from neo-Nazi organizations they'd previously joined. Now, with more young Europeans being recruited as foreign fighters by Al-Qaeda or the militant group Islamic State (IS), Weilnboeck finds the work focusing increasingly on individuals attracted to Islamic extremism. When it comes to working face-to-face to deradicalize young people, Weilnboeck says there is little difference between the methods used with neo-Nazis and with foreign fighters from IS or Al-Qaeda. "On the level of methodology and how you engage with the person -- be it one-on-one or be it in small groups, which I would prefer -- the principles of work seem to be pretty much the same," Weilnboeck says. "I remember us coming from the work with neo-Nazis, right-wing extremists, and wondering, 'Well, could we do pretty much the same thing or we would have to invent something particularly new for people who come from Al-Qaeda or IS backgrounds?'" he tells RFE/RL. "In fact, you have to deal with male or female psychologies that resemble each other." The New Ice Curtain explores Russia’s strategic ambitions for its Arctic region—an understudied and underappreciated area that encompasses nearly the entire northern coast of Eurasia. As the Russian Arctic produces 20 percent of Russian GDP, 22 percent of its exports, and is home to nearly 2 million of its citizens, Russia’s economic future will increasingly depend on robust Arctic development. For Russian president Vladimir Putin, the political, economic, and military stakes could not be higher as increased geopolitical tensions over Ukraine and the imposition of Western economic sanctions may challenge Russia’s Arctic ambitions. This timely report examines Russia’s economic development strategies and assesses the Arctic nation’s military modernization efforts as it seeks to ensure the economic viability of its natural and mineral resources, as well as the Northern Sea Route. The report frames these issues and evaluates their potential impact on Russia’s future, as well as the future of bilateral and multilateral cooperation in the Arctic. Finally, this report identifies possible areas to preserve and protect Arctic cooperation in an increasingly tenuous Arctic ecosystem and international environment. Download PDF file of "The New Ice Curtain"
That Wikipedia is used for less-than scrupulously neutral purposes shouldn't surprise us – our lack of critical eye that's the real problem. If you heard that a group of people were creating, editing, and maintaining Wikipedia articles related to brands, firms and individuals, you could point out, correctly, that this is the entire point of Wikipedia. It is, after all, the “encyclopedia that anyone can edit”. But a group has been creating and editing articles for money. Wikipedia administrators banned more than 300 suspect accounts involved, but those behind the ring are still unknown. For most Wikipedians, the editors and experts who volunteer their time and effort to develop and maintain the world’s largest encyclopedia for free, this is completely unacceptable. However, what the group was doing was not illegal – although it is prohibited by Wikipedia’s policies – and as it’s extremely hard to detect it’s difficult to stamp out entirely. The State Department, fresh off the heels of a highly publicized cyberintrusion, is picking industry’s brain for tactics to block and perhaps strike back at hackers, according to new contracting documents. State wants to produce a new set of how-to ”playbooks” around cybersecurity ”to clearly guide both offensive cyber operations and responses to cyberattacks,” department officials said Wednesday. “Offensive cyber operations” is military jargon for hacking into or disrupting an adversary’s system, making it an odd turn of phrase to describe civilian data security practices. The Pacific Islands Forum (PIF) leaders summit began Monday, but even before it did media coverage had the main talking points explained. One would be climate change, and Australia and New Zealand’s perceived inaction. More importantly: building consensus on a united Pacific front before the COP21 talks in Paris. The forum officially opened in Port Moresby yesterday, although Papua New Guinea Prime Minister Peter O’Neil welcomed members from smaller nations like Tuvalu and the Marshall Islands on Sunday for the Smaller Islands States meeting Monday. 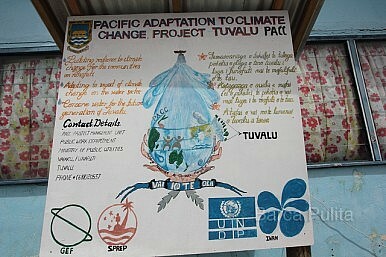 Though fisheries and the role of civil society will feature (see an earlier speech on the latter here) the high-level meeting – to be attended by the heads of governments of all member nations save Fiji – will be largely focused on climate change, ahead of December’s COP21 climate talks in Paris. Already Kiribati has asked the region’s two largest nations to “come to the party” and look after the future of smaller Pacific nations, according to Anote Tong. Indeed, the ABC is reporting that Australia may be asked to leave the forum if the country does not adopt stronger measures on climate change. The Department of Defense should be doing the hard work required to generate a Revolution in Military Affairs, which encompass much more than technology. Revolutions in Military Affairs are not mere forms of modernization, revitalization or adaptation. They involve order-of-magnitude improvements in military capability. They primarily require sustained and determined conceptual, technological, and organizational innovations over time. They secondarily require deliberate experimentation and an ability to learn from experience. Pronouncements from military and corporate leadership about the value of the “technological game-changer” abound. The prevailing school of thought in the Department of Defense is that the primary determinant of victory is advanced technology. It remains an article of faith, particularly in the Air Force, despite substantial historical evidence to the contrary. The search for the silver bullet has become so obsessive that billions of dollars have been wasted on programs that do not meet the needs of the warfighter, or arrive so late that they are technologically obsolete. This obscures the reality that the only modern historical example of a technological game-changer in warfare was atomic weapons, for a vanishingly short period over half a century ago when the United States was the sole possessor. Their complete absence from the battlefield since 1945 belies any claim that they changed the nature of warfare, although they certainly changed the nature of strategic deterrence. It is artificial to constrain the debate about women in the infantry to physical capabilities. This doesn't address what holds an infantry unit together in the worst conditions humanity has to offer. The current debate about women in the infantry takes place in an artificial context, because it nearly always self-limits the discussion to physical capabilities. Within these incomplete parameters, the argument is then set, and the preamble is that physical standards and performance are measurable and what is not measurable is subjective and probably unfair. Once physical quantifications are set as the only requirement that matters, it then stands to reason that if you can define infantry requirements in terms of, for example, a number of pull-ups, a hike with 60 to 80 pounds of extra weight, or carrying a 180-pound simulated casualty to safety, then you can assess whether females are suited to infantry units. Unless we stand fast with our allies, we might open the door to a far more dangerous world. While rare, arguments in favor of abandoning the U.S. alliance with South Korea are not new, and are always reduced to narrow cost–benefit transactions. The Donald Trump-like simplicity of this approach obscures an honest assessment of the issue and the purported solution. The case of Korea is instructive of the numerous high risks and hidden costs in libertarian arguments about U.S. foreign policy. As he has occasionally done for decades, Doug Bandow of the libertarian Cato Institute recently reanimated the “abandon Korea” argument in The National Interest. His justifications change slightly over time to adapt to circumstances, but the punchline remains. There are many reasons to take issue with the libertarian line of reasoning about Korea and alliances in general — especially given recent research findings. I nevertheless limit my focus here to the hidden costs of libertarian reasoning, measured in terms of foreign policy fallout. America's military services are set to open the combat arms to women, which will allow female officers to ascend to the highest ranks of the U.S. military. But will the Marine Corps follow suit? We had a front row seat to history on August 21, when we witnessed two West Point graduates become the first women ever to graduate from the Army’s grueling 62-day Ranger School. Captain Kristen Griest and Lieutenant Shaye Haver pinned on their hard-won black and gold Ranger tabs at Fort Benning in front of a capacity crowd marked by an abundance of female West Pointers. Their milestone achievement has forever changed the debate about whether women are suited for ground combat roles and may finally break the brass ceiling that has long limited opportunities for women in the military. It is not surprising that the first two women to successfully complete Ranger School graduated from the U.S. Military Academy. Griest, a military police officer, is a member of the class of 2011, and Haver, an Apache pilot, graduated in 2013. Both stood on the shoulders of the first women who joined West Point’s long gray line, and they faced the same sort of intense skepticism and scrutinyin breaking new ground for women as did their academy forbearers. This infographic focuses on pure water and the environment.